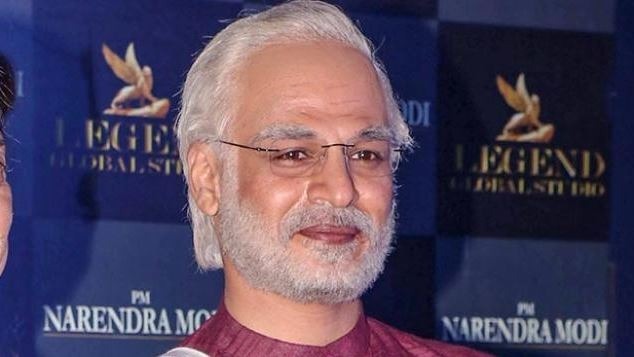 The release of film ‘PM Narendra Modi’ which is based on the biopic of the current Prime Minister Narendra Modi has been postponed for the time being. The movie fell into a controversy over alleged violation of election rules. The producer of the movie Sandip Ssingh made the postponement announcement on Twitter. ‘PM Narendra Modi’ has come under a cloud, as the opposition parties alleged that its release was originally planned for 5th of April with the intention of influencing voters in the run up to the Lok Sabha elections. The Supreme Court had fixed the date for 8th of April to further hear the Congress’s petition against the movie launch at this crucial time. Earlier, the Madhya Pradesh and Bombay high courts had both refused to stay the movie’s release. Last week, the Vivek Anand Oberoi, who plays reel Modi in the film appeared before the Election Commission in connection with a complaint filed by the Congress. The actor promoting his movie at various TV news desks asked why the Congress were scared of the Prime Ministers biopic. He rejected any allegations that the film release violates the Model Code of Conduct. The reel Modi played by Vivek Oberoi openly acknowledged supporting the BJP, hence this gives a reason to believe that he is hand in glove with the BJP. Secondly, the timing of the movie had always been in question since it changed its release date after the election schedule was announced. Recently, in a sting operation conducted by Cobrapost, they captured Vivek Oberoi on camera agreeing to utilise his social media accounts to support the ruling BJP’s agenda in the run up to the upcoming General elections in exchange of cash. He was heard saying that he’ll create a ripple effect by spreading the message on his social media accounts, he claimed to have a reach of 30 lakh followers and demanded Rs. 2.5 crore. The other important aspect of the sting operation was that the acceptance of most of the payment in cash to avoid taxes. The reel PM, was left exposed when the tapes came out.